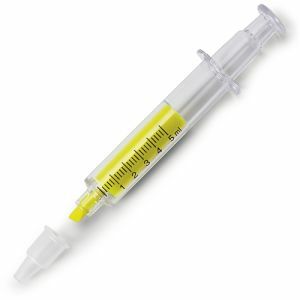 Promotional pens are arguably the most widely used low-cost giveaways in the world. We use a branded pen on average six times a day, meaning your marketing campaign could be on prime display with every sentence written. 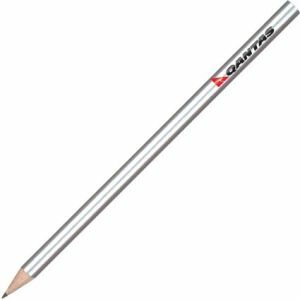 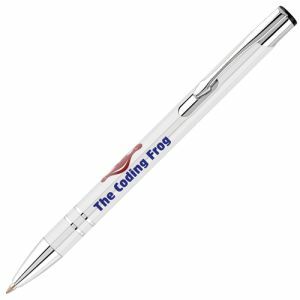 Our range has a variety available including printed plastic pens, metal pens and pencils. There is something to suit every budget or purpose from renowned brand names to cheap personalised pencils and highlighter pens. For those looking for something a little more unique, we even have multi-functional, eco-friendly pens and full colour printed pen options, as well as a mix and match colour service on certain styles for a printed pen with a truly corporate finish. 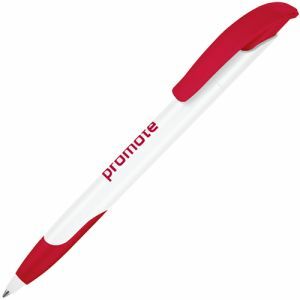 According to the BPMA, "In the UK the humble ballpoint pen tops the list of promo items every year when it comes to value for money" and branded pens are consistently among Total Merchandise's best sellers. 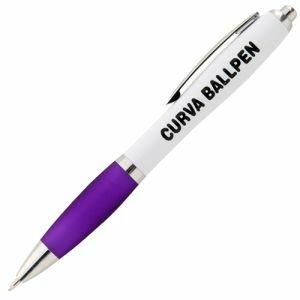 As a testament to this, our best-selling Curvy Ballpens have dominated the market for years and continue to be firm customer favourites. 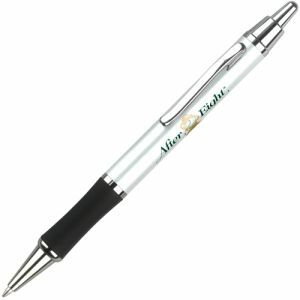 They are the epitome of everything the right choice of pen can do for your business. When chosen with care, they can represent your brand and maximise impact with quality, innovation and style. Being small, lightweight and easy to carry, a promotional pencil or personalised pen is one of the most cost-effective ways to put your company logo in your customers’ hands. There are printed pens to suit all budgets, high quality and low-cost designs made from plastic or metal. 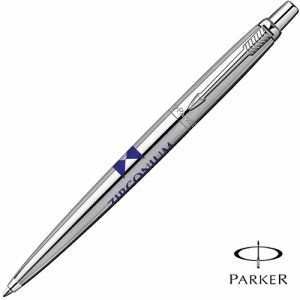 However, if you’re looking for something a bit different from the ‘humble ballpen,’ there are plenty of speciality or novelty pens to choose from. 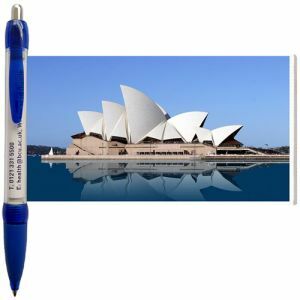 Banner Pens have an innovative roll-out mechanism to maximise space for your corporate campaign while Floating Pens have been classic favourites of the souvenir industry for decades. 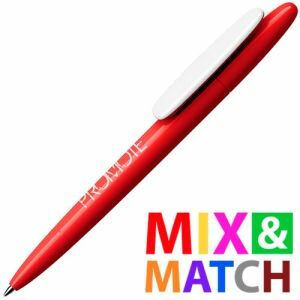 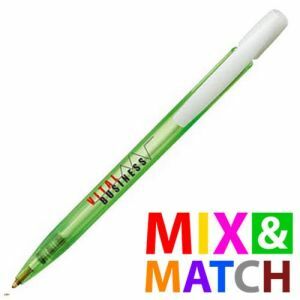 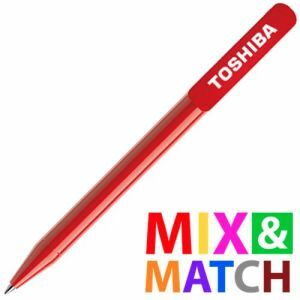 ‘Mix & Match’ logo pens can even enable you to customise the entire pen to create something totally unique to your brand. For something truly one-of-a-kind, you could also Pantone match a branded pen to your corporate colours. Match the actual colour of the materials to your company colours for maximum impact – perfect for those looking for a promotional giveaway tailored to their business’s identity without breaking the bank. You could also maximise the practicality by choosing custom pens with multiple functions. 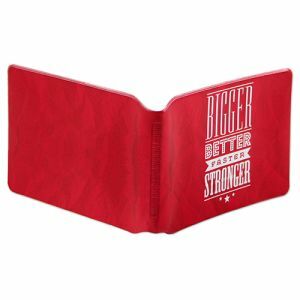 A useful business gift could be the difference between the recipient disregarding the merchandise out of hand or keeping it around to do the job it was intended for – advertising your company or campaign. 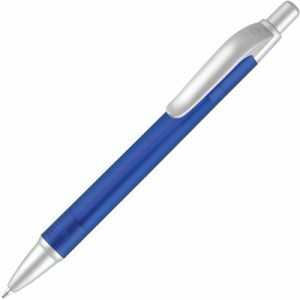 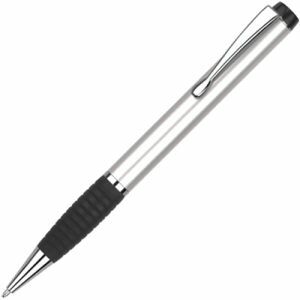 We have promotional pens with multiple ink colours in one sleek design or increasingly popular touch screen stylus pens. 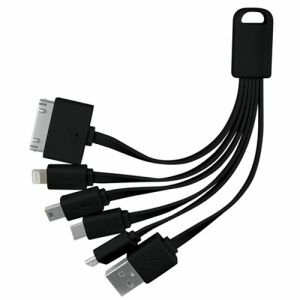 We even have pens with integrated USBs, torches, screen cleaners and more. 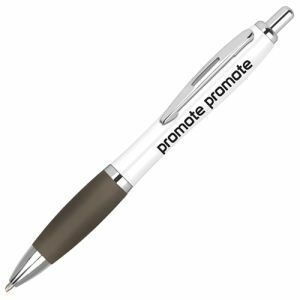 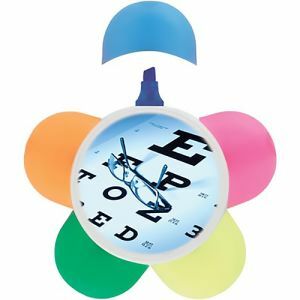 With the environment a topic of increasing importance to the public, we are also always searching for promotional merchandise that successfully spreads awareness of your business without detriment to the world we live in. 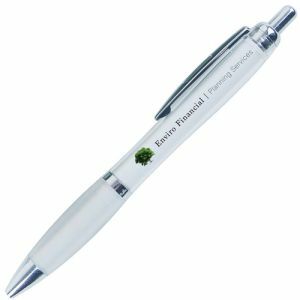 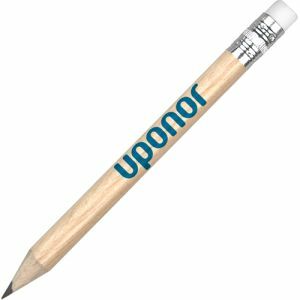 We have a selection of eco-friendly pens, pencils and stationery to suit any company wishing to advertise their brand as one that cares about the environment. 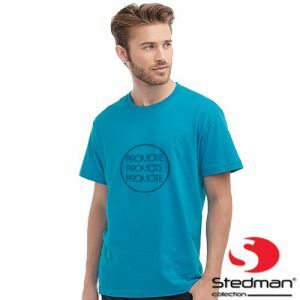 Associating your company logo with a recognised manufacturer could automatically improve the reputation of your campaign. We have low-cost but practical BiC pens, recognised across Europe, often printed in up to full colour and with a choice of ink colours. 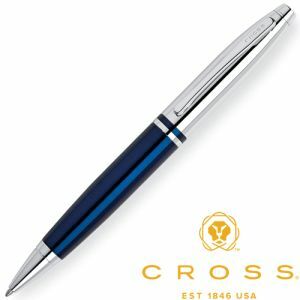 We even offer promotional pens with a more executive feel, from brand names such as Parker, Cross, Sheaffer, Waterman, Balmain and Pierre Cardin. 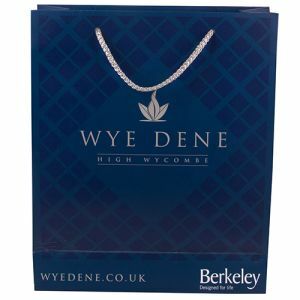 If speed is your priority, with a tight deadline approaching or an unexpected event cropping up, our range includes various express options for fast delivery. 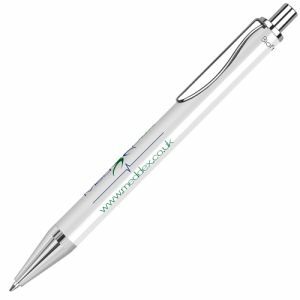 We have printed pens that can be dispatched in as little as 48 hours from artwork approval, in various styles and colours to suit your needs. 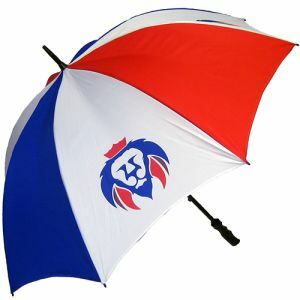 This service is also available without premium prices across a lot of our UK stock and best-selling designs. Perhaps a customised pen isn’t what you’re looking for? There are a wide selection of branded pencil cases, pencils and writing accessories available, perfect for around the office, at schools, universities etc. 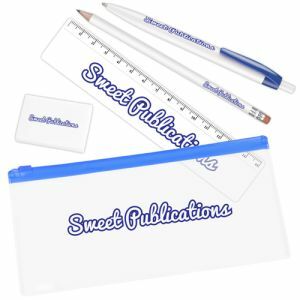 Printing these with your logo or brand can give your workplace stationery a real corporate feel and a touch of professionalism. 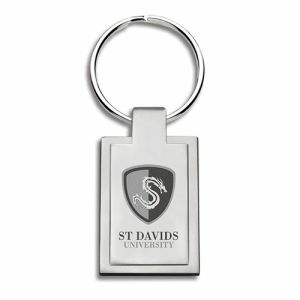 Alternatively, our promotional colouring pencils, rubbers, sharpeners or pencil cases can also be used as fun yet practical branded giveaways for students or the younger generation. 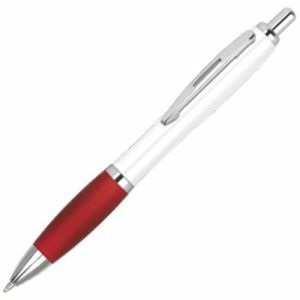 There is a wide range of printing and personalisation options available including engraving, spot colour, full-colour print, or even a choice of barrel or clip colours to custom build the perfect branded pen for your business. In terms of varying writing style, we also offer not just standard ballpoint pens, but also rollerball pens, fountain pens and gel pens, as well as boxed gift sets. 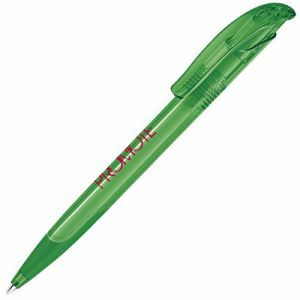 Total Merchandise has years of experience testing and supplying company pens and pencils, so whatever you’re looking to achieve, we can help you find the 'write' product!